A frequently asked question is: “whether or not there are tuition free schools?” With the increasing rise of tuition fees in Universities in the United Kingdom, Canada, United states, a lot of people are beginning to weigh up the cost benefits of higher education and wondering whether university and all the opportunities it affords is truly worth the debt that may be incurred during the process . 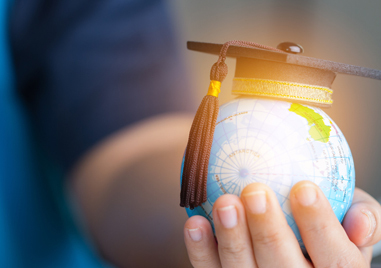 Good news is that there are quite a good number of countries worldwide where students can study abroad for free or for a very affordable amount. Examples includes Germany, France, Norway, Iceland, Greece, Denmark, Finland are European countries that offer low-cost or free tuition, with details on eligibility and what current (low) university fees you can expect. Most public universities in Germany are tuition free regardless of your nationality; these opportunities are available and applicable to Germans and international students alike. Little wonder why Germany’s intake of international student since 2014 just has been steadily growing. Only a nominal university fee is charged ($180- $300) to cover administration costs. Germany’s low study costs, combined with its strong economy and excellent higher education system, makes the prospect of undertaking study in Germany extremely appealing for both students and their parents worldwide. The case with France is slightly different as not all schools in France are Tuition free. The majority of programs offering tuition free programs are taught in the native language. However, there are a growing number of opportunities to study in English, particularly at graduate level. A viable option is to attend a preparatory school to perfect your French skills before beginning your degree. Known for their high quality of life, stunning nature and liberal politics, northern European nations (known as the Nordic countries) also boast some of the strongest higher education systems in the world. Nordic nations Denmark, Finland, Iceland, Norway and Sweden all offer opportunities to study free or at low cost. You’ll be pleased to know all students were also entitled to free higher education in Denmark and Sweden, and in Finland you won’t pay a penny for your study wherever you come from until August 2017, as much like Germany, it was recently announced international students will be required to pay a minimum of €1,500 (£1,265) per year for a Finnish education. Austria is another country that offers great opportunities to students in terms of free tuitions . You can study in Austria for free (or at a very low cost). EU/EEA students enjoy these same rights as Austrians when it comes to the cost of higher education, and can study for free at any degree level. After this time, students pay a fee of just (US$434) per semester. International students from outside of the EU/EEA should expect slightly higher fees of around (US$870) per semester. Belgium has two main language communities, German-speaking and French speaking community. Each with their own stance on university fee. EU students however, will pay a maximum of only (US$1,000) a year. EU students get the major benefits of being able to study in Europe for free. Fees nonetheless are still very affordable for international students, ranging from (US$1,065-5,000) per year. Students from within the EU countries are able to study for free in Greece at public universities and colleges, with the exception of some master’s programs. International students from outside of the EU are also eligible for low-cost higher education at approximately (US$1,800) per year. Greece offers one of the lowest costs of living in the European Union.